← What Does God Think of Homosexuality? Pt 2 Searching for the Modern God for the Modern Family in the Modern World? (Ver 1.2) Today is Part 9 in a series of advanced lessons on Understanding Bible Faith. If you have not been reading this series from the beginning I would recommend that you go and start with “Part 1”. Today’s lesson is about having faith when it looks like it is not working. We all struggle in this area at some point of time in our lives. If you think you are different than everybody else, then you are deceived. You can go through the Bible and read over and over about the stories of men who did great things for God and see that God had done great things for them and they all at one time or the other struggled to say, “God where are you?”. One of the greatest prophets of God was Elijah. He called down fire from God to consume the prophets of Baal. Elijah stopped it from raining on the earth for three and half years and then commanded it to rain and it rained. After all of these things, Elijah went into the wilderness downcast and depressed and asked God to kill him. I am always amazed when I read the Gospels about Jesus hanging on the cross (Mat 27:46). 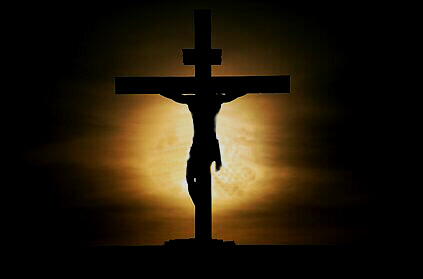 Here is the God of my Salvation dying on the cross for me and He says in the Hebrew tongue “Eli, Eli, lama sabachthani? These words are translated as “My God, My God, Why have you forsaken me?” Wow, I have difficulty comprehending that! You should read through the Psalms of David and see how many times it looks like David is alone and in despair trying to encourage himself in the Lord. David’s confidence level, clearly was feigning and wavering in the face of his circumstances. In fact these words spoken by Jesus on the cross were originally written down by David in Psalm 22:1. Remember David was the one that killed the lion, the bear and then the giant Goliath. But, yet when he was alone in a cave hiding from Saul, he felt despair. We can see that it does not matter how many great things that God has done, we can all feel like we have been left alone. What we learn is that there will always come times when life’s situations will seem overwhelming to us. I have been there and I’m sure you have been there also. Perhaps you are there today and that is why God is using me to write to you. In this world there are events occurring daily that are extremely troubling. Prices are rising, people are losing jobs, there are wars and riots all over the world, and there are earthquakes and death everywhere. It is very easy to get into despair. In the past few weeks, I have been teaching a series of lessons on having Bible faith in God’s Word. As part of the lessons I taught that having confidence in God is an essential element to having success. If the woman with the issue of blood did not have any confidence in what she heard about Jesus, she would not have gone fighting through the crowd to get her healing. If you have no confidence then you have no faith. So you should judge yourself and see where your confidence in God is on a daily basis. You might have great confidence today and no confidence tomorrow. You cannot judge your current confidence level upon your past experiences as you have learned from the examples of David and Elijah. Today I am doing what I am teaching you to do, I am checking up on my confidence level to see if I am where I need to be. Here is the first great faith verse to know and to understand about prayer. This verse speaks of you having confidence. This verse is talking about prayer to God and asking for Him to do something for you. But, it qualifies the fact that there is a correct prayer and there is an incorrect prayer. God informs us that you better only ask Him for something that is His will or He will not even hear our prayer. How do we know what to pray for then based upon that? If you recall in my Faith series, I taught you about possessing the Promised Land. We are supposed to go through the Bible and learn what God has promised to us and only then will we know what His will is. God’s will is always based upon God’s word. You see if you are praying for God to heal you today, I’m sorry but you may not have any confidence in God. Are you asking according to His will? If you are what scriptures are you using to base your confidence? What is the will of God for healing you? Do you have any divine promises that says He will heal you? If you can quote the verses to me, then you have a sound foundational basis for having confidence, if you cannot quote them and you have to go look them up, then you have no confidence because you do not know what God has spoken. It is like a man who prays for salvation from God. He is very sincere and he opens his mouth and says “God please save me” over and over again. What is God’s reaction to that type of prayer? I believe that God will say “I came to the earth, I died on the cross, and I shed my blood for your salvation already, what do you expect me to do now?” God would also say “I already did save you; my part is done now you do your part and receive it”. I heard a story of a man who kept telling a preacher, “When God gets ready he will save me”. This preacher tried to tell the man that God had done His part to save him already. But, the man just kept believing, that God was going to save him some day. When this man was very old lying on his death bed he still believed the same thing and died and went to hell. When people think and believe wrong they do without the blessing of God. If you are waiting on God to do something, you are thinking wrong and you better learn to change to see that God has already given you the Promised Land and He is waiting on you to possess it. These are examples of praying in error, believing in error and doing without. When you pray and ask for something that God says has already been given to you then you are basically saying to God “I don’t believe you Lord”; “Please give me the Promised Land”. God is still going to tell you “It is yours already”. But, you are going to say I’m still in the wilderness and I don’t have it and God is going to say by faith you do. That is one of the primary problems that Christians have today, God says by faith you will possess it and by having no faith you will miss out on it and die in the wilderness. If you actually know something then you can have great confidence in it happening. However, it depends upon who is speaking to you, doesn’t it? If I told you that I will meet tomorrow in Washington D.C. at the capitol rotunda, would you have any confidence of the meeting happening? Not, if you do not know me. You see you are only going to have confidence in those that you know who are faithful and true. If you do not know that God is faithful and true then you will have no confidence in Him answering your prayer either. So what did we just learn about how to pray with confidence? Find the Bible promises that have been given to you. Put them into your heart by speaking them to yourself over and over. Pray in faith according to the promise that was given to you believing you receive it. Since you prayed and asked God knowing His will, you now know the Bible says God heard you. Since you know God heard you, you now know that you have what you asked for by faith. Therefore, you don’t pray and ask God for it again tomorrow because it looks like it didn’t happen. What I like to do is to thank God for giving me the answer, even though I do not see it in the natural yet. Then once it does show up in the natural, then I fight to hold on to it so that Satan does not come to try to take it away from me. It sounds easy until you realize that it takes time for the answer to arrive from God. When Daniel prayed to God and asked for a simple answer, he waited and fasted for three weeks and finally the angel of God arrived with the answer. I do not know how long it would have taken if it was a really big thing that Daniel needed, but it makes me wonder. We like to think that God is omnipotent and can just cause things to happen instantly. But, this is not what the Bible teaches us. The angel told Daniel the very day you prayed I was sent by God, but the prince of Persia withstood me so that I could not come (Dan 10:13). You see there are spiritual forces other than God in the world and these are not on God’s side. These evil spirits are set to destroy you, kill you and steal from you and they are doing everything in their power to cause God’s blessings not to come to you. These are some of the spiritual giants of the Promised Land that will come to try to keep you out. So just because you pray according to the will of God and you know that He heard you, you will be presented a daily challenge for a time to believe that you have what God has given to you. This is why God says for you to Fight the Good Fight of Faith (1 Tim 6:12). Faith is a spiritual fight to possess the Promised Land and you are responsible for this fight. We do not wrestle against flesh and blood, but against principalities and powers and the rulers of the darkness of this world (Eph 6:12). When praying and asking God for anything and it does not happen in a reasonable timeframe, learn to recognize where the problem lies. If you have prayed for something for 10 years and God is still silent about it, then God is not the problem you are. I once heard a minister say this; “Insanity is doing the same thing over and over and expecting different results”. This same minister said if I pray and God does not answer in a short time, then I change and find out what I’m doing wrong. You see God tells us that He is always faithful and God says He does not ever change (Mal 3:6). So if God is not changing where does the change need to occur in order for you to see your miracle? Wow, I said some really important things today, but this is one of the greatest ones that you need to learn quickly. Quit praying for things that God has already said “I’ve done that!”. Quit praying for the same thing over and over. Either get into faith and receive the answer from God or start to realize that you may just be wasting your breath. Pro 3:26 For the LORD shall be thy confidence, and shall keep thy foot from being taken. Here are just a couple of verses about having confidence in God. It appears to me that having confidence in God helps to save us from trouble. God speaks of a place of refuge which is like a safe house in a major storm. God speaks of not being taken, and that is again speaking of being kept safe. Perhaps I should discuss a little bit about what “confidence” is. If I have confidence in someone, then I can put my trust in them. This is the common bond to a healthy marriage. When each spouse trusts the other, they have confidence in their decisions and actions that they are true. If you spouse is unfaithful you learn very quickly that trust is gone. This is our relationship with God also. We have a covenant with the Most High God. In the eyes of God this is a marriage contract built on mutual trust. I hope you understand these concepts. If you do not, go and read my Bible lessons on “Understanding Covenants”. You see the trust concept plays a huge role in your relationship with God. The better you know Him the more you will learn to trust Him. The less you know Him the minimum amount of confidence you will have in Him. I believe God understands the concept that trust grows. Here in this verse in Ruth, God is saying that the woman Ruth has grown to trust in the God of Israel. After all she was a Gentile who was not in covenant with Him. She had no basis for having any confidence in the God of Israel. Yet she by faith learned to grow in trust of the Lord and became one of the women in the lineage of Jesus. Pro 30:5 Every word of God is pure: he is a shield unto them that put their trust in him. God is telling you that you can trust His words. You can put your full confidence in what God says. This is a basic model of having faith in a God that you cannot see and cannot prove exists, yet you believe He will do what He said He will do. I will tell you today that God will move heaven and earth for any man or woman on the earth that will believe Him. 2Ch 16:9 For the eyes of the LORD run to and fro throughout the whole earth, to shew himself strong in the behalf of them whose heart is perfect toward him. This verse tells me that God is searching for someone to bless. It clearly tells us the eyes of God are in heavy search mode looking for someone. What have we learned from reading the Bible is the key determining factor to whether God does anything for anybody on the earth? You better say it is because they had faith. You can go and read Hebrews chapter 11 and see that God’s Faith hall of fame encompasses most of the famously named individuals who did great exploits for God in the Old Testament. God lists these people to show you that faith was the determining factor for their success in life. The basis of their success however was also because they had great confidence in their God and His ability to save and deliver them. So we are not putting our confidence in ourselves or our ability to do anything, we are merely exalting God to His rightful place as the source of all of our confidence and trust. I had a man today, write me and tell me I sounded arrogant in what I teach. This man clearly did not understand the concept of confidence and trust. If I taught things that I learned on my own abilities then I would be having confidence in me and that would be arrogance and foolishness. However, I teach things that God has taught me and therefore I have learned that I can depend upon Him and put all my confidence in Him so sometimes I come across sounding arrogant to narrow minded people, but hopefully to others, they will also see that they can learn to have the same level of confidence that I possess and grow in it to become even greater. I am not talking about me or you being great, I’m talking about our confidence in God being great and growing. You can learn to have confidence in God also and someday you will see that you may also sound a little arrogant. Just do not confuse arrogance with confidence because they both sound very similar to the untrained ear. You can learn to trust Him. But, you are going to have to find out what He said in His word in order to do this. Read the Bible like it is a personal letter written only to you. Claim what you need and then go and possess it. God Bless! If you would like to continue reading in this series of lessons about faith then go to “Part 10“. Posted on February 26, 2011, in Bible Study, Faith, Understanding and tagged Bible, Christianity, Church, Covenants, Faith, God, Interpretation, Jesus, Knowledge, marriage, Prophecy, Religion, Revelation, Truth, understanding. Bookmark the permalink. 8 Comments. Thank you for your great Biblical insights. I enjoy reading you posts. There is a part you say that in praying with confidence, “you don’t pray and ask God for it again tomorrow because it looks like it didn’t happen”. How do you reconcile this statement with the lesson in the parable of the persistent widow in Luke 18 where Jesus called for “crying out to God day and night” in prayer? Thank you for you time reading and commenting. That is a popular question for many. Because of a lack of knowledge and understanding of the subjects of prayer and faith many misinterpret the story of the widow and the unjust judge in Luke 8 to mean something that it does not teach. It does not teach us to pray to God every day and night until he gives in to answer. God is NOT an unjust judge by far. God is LOVE and we have a covenant with Him that means everything He has is already ours. Therefore we do not have any need for begging for Him to give us anything. Salvation has been provided already. Forgiveness has been provided already. Healing one part of Salvation has also already been provided to us. 2nd Peter 1:3 says very clearly that God has already given to us EVERYTHING that pertains to life and Godliness. Why then do people ask over and over and over ad over for what is given? Simply because of unbelief. People are walking by sight instead of walking by faith. Notice how Jesus ended the story of the unjust judge? He said in Luke 18:8 very clearly what He was looking for when He returns to the earth. Jesus said “When the Son of man returns will he find faith on the earth”? That is the opposite of crying day and night for God to hear their bad situation. The Greek word translated as “cry” means to holler loudly to be heard by someone that is not listening. That is not a description of God whatsoever. No Jesus was not teaching us how to pray in this story of a widow. He was in a contrasting and opposite form teaching us how NOT to pray. If I had more time and room I could give a much more in depth lesson on prayer than in this setting. For example, I have not mentioned the fact that there are multiple types of prayer taught in the Bible. Each prayer type has differing rules of engagement. A prayer of faith is not the same as a prayer of dedication. For example, Jesus prayed three times in the Garden before His crucifixion for God to take the cut away from him if possible but yet he ended the statement with “Nevertheless, not will but yours be done”. This was a prayer of commitment to God for His will to be done. That is perfectly fine to pray daily or even several times a day. Perhaps the LORD will lead me to do a series of lessons on prayer later. Thank you and God bless you, I hope this hort answer helped resolve any conflicts. Thanks a lot for your response and God bless you. It helped. I came across your website about 2 weeks ago, I am learning so much, I believe God led me to it. Your study on faith is amazing it has helped me so much. I to have had debates with others who challenged me to prove that Yahweh exists. I am not a minister nor do I call myself by any title of ministry…but I am a believer and a prayer warrior! I have witness to the Glory of Yahweh many marvelous acts that he performed in the revival of a church I attended. I saw the arrogant, lofty and stoic, humbled and brought to their knees. Those who thought that putting on the garments of religion was the same as putting on Jesus taken to task. We would pray before each service… and my God! When the Holy spirit came in… he’d come with fire. The holy spirit had chase every imagination and every spirit that set itself above Yahweh. And that’s exactly what we prayed about. And before the year was over the slate was cleaned. Those that needed to be there in the church were there and those who did not had left. Kingdom business is not for the faint of heart. I personally had to challenge myself to go beyond all preconceive notions of what religion has told me. I had to clean out my own temple in order to be fit for the masters use. Yahweh wants to release his power in this earthly realm. But he needs sons and daughters who are branched into Jesus to make themselves available…and for that you need faith!